If you’re planning to get the Nokia Lumia 920 via AT&T, you’re probably wondering when it will be available so that you don’t waste your time with repeated trips to the closest AT&T store. The good news is we just might have information about AT&T’s schedule plans for the Nokia Lumia 920 that should help answer some of your questions. According to earlier reports, AT&T is looking at October 21 to release the Nokia Lumia 920. The problem with that date is Microsoft has yet to officially unveil Windows Phone 8 and is not expected to do so until the end of October. It seems highly unlikely that Microsoft would let phone companies spoil their plans the OS by selling the Nokia Lumia 920 and other upcoming Windows Phone 8 devices like the HTC Phone 8X and the Samsung ATIV S ahead of their own big reveal. October 21/22– Lumia 920 announced for AT&T, including pricing and availability. No word on pre-orders thru AT&T’s main site. Traditionally, AT&T has announced new phones with a pre-order date following a week later. We’ll keep monitoring the newswires for more information about the Nokia Lumia 920’s release. 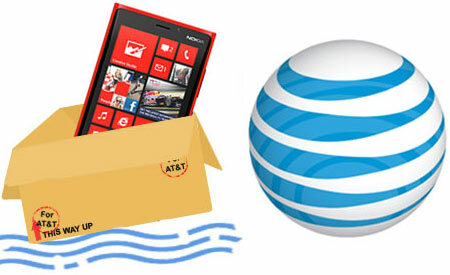 Are you getting the Nokia Lumia 920 through AT&T? Let us know in the comments below!